The Cynthcart turns the Commodore 64 into a kickass synthesizer. This standard comes now in black. New design for this fabulous club, in September 2005. So, for the dedicated clubber, a visit to Paris will be not complete without a night at the Rex Club(Always, with his very good sound-system). Some of the best DJs from around the world have graced the decks in this dark, basement venue, with the emphasis mainly on techno. Laurent Garnier caused a stir here back in 1991 with his Wake Up nights and his numerous appearances always draw a sizeable crowd. The club attracts a wide-ranging crowd. Entry is easier than at some of the bigger and glitzier clubs, but arrive early, especially when the better known guests are in town. 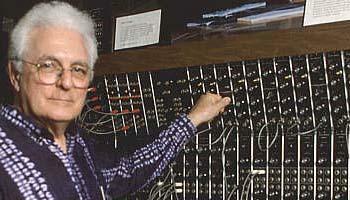 In memory of Robert "Bob" Moog, died on august 21, 2005. This week synth of the week is The Synth of the century, considered as the very first synti for musician due to its incredible warm and fat sound. 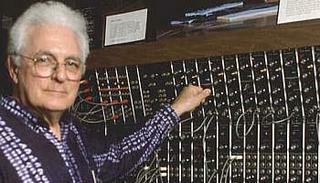 We will miss you Dr Moog! I like a lot Sensitive Object company because they are French, because they talk about man-machine interfaces and because they made a technology to control everything possible with sounds waves : this technology is based on the recognition of sound waves which propagate in an object when it is touched at a precise location. A tap on a table possesses an acoustic signature that is distinctive at the point of impact. In other words, the waves that are emitted from a precise point are diffused in the material differently from a tap that occurs a few centimeters away. This property was discovered thanks to a physical process called temporal reversal, which precisely identifies the source of the emitted waves. I discover highly_liquid via Get LoFi blog. They sell MIDI interface to control a large array of gear. So far their new MIDISpeak Module (great name!!) is their best interface : Adds a standard MIDI IN port to your Speak & Spell, Speak & Read, or Speak & Mat. Another module is a 8 output MIDI decoder with integrated relay, transistor, or 5V switching and behaviour customization. Perhaps a good idea to interface it with Speakjet? I like a lot this video ! Remember that you can "really" do that with the Pioneer DVJ-X1. We are pleased to announce that we will also be joined by more guests crucial to our musical heritage. All guests are exclusive uk dates AND WILL ONLY BE PLAYING AT LOST. To date - more info to follow!!! Denon releases then new DN-S3500 tabletop CD/MP3 player with a powerful 12-pole Direct Drive high torque motor delivering instant full rotation speed with a powerful 2.5 kg/cm of start-up torque within 0.5 seconds for true turntable reaction and response. Selectable platter speeds of 33.3 or 45 rpm offer analog manipulation suited to the user’s preference. 7 on-board effects : Echo, Echo/Loop, Filter, Flanger, Brake, Dump, & Reverse. 15 Sec. On-board Sampler w/ Sampler Copy Feature! Next Track Reserve With Crossfade. Three-way pitch bend is controllable using the scratch disc, pitch bend buttons or finger-pressure along side the spinning platter. 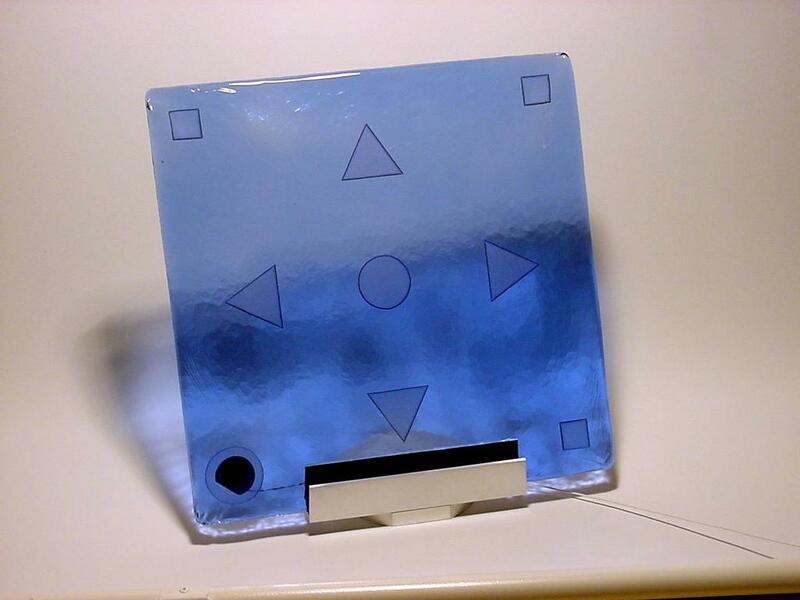 Customizable paper slip mats can be applied under the removable clear scratch disc for platter personalization. 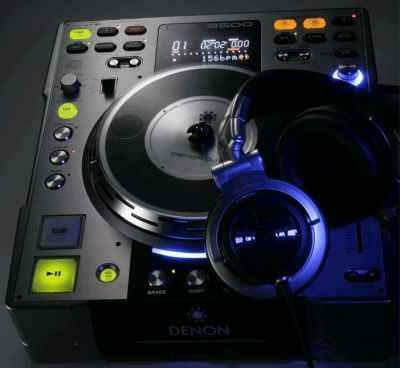 The Denon DN-S3500 Professional Direct Drive CD/MP3 Player is available late September. Remember the exciting Speakjet voice synthesizer chip ? Here is the Insanium a 4 oscillator digital / analog hybrid synth designed and coded from the ground up by Lorin Edwin Parker and built from scratch. The speakjet is used for both speech, and as a synth. It also contains analog filters, mixers, mosfet preamps and a slew of other sound stuff. 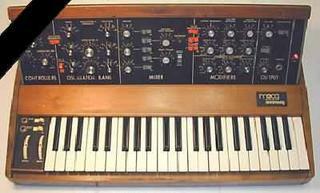 The instrument also contains a hand-held radio and a patchable matrix mixer, as well as a computer data port for preset programming and firmware update and an auxiliary input.